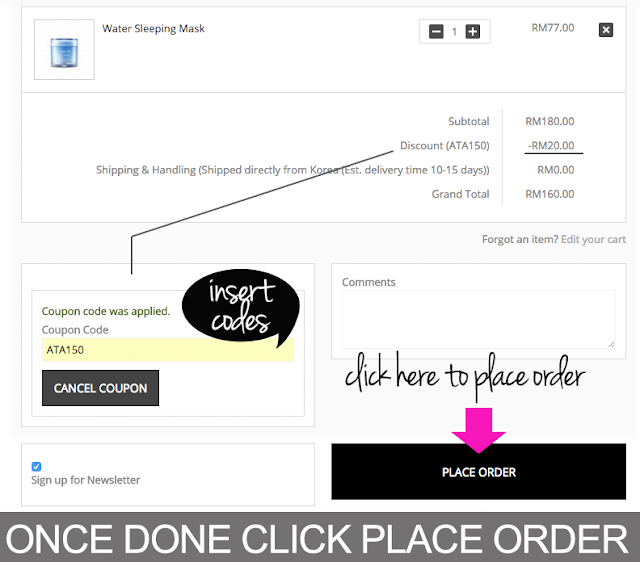 At the shopping cart (check out page) you'll see your order details under order review. Make sure it's correct along with the quantity before you place your order (button found below). The payment options available at the moment are Paypal but don't worry! Even if you don't have a Paypal account, you can still make payment by credit or debit card option at Paypal's payment page. You might be charged a USD1 which is the normal procedure by payment gateways now (even UBER charge RM1 for adding a new credit card to account). What I know is this USD1 by Paypal is refundable after a month. More payment options will be available and I heard it's this week!. Molpay has been implemented on 23/7/2015 with payment options such as bank transfers, credit and debit card payment. Updated: As at 1st August, Paypal has been brought back to Althea to facilitate easy payment for those who already have Paypal account. 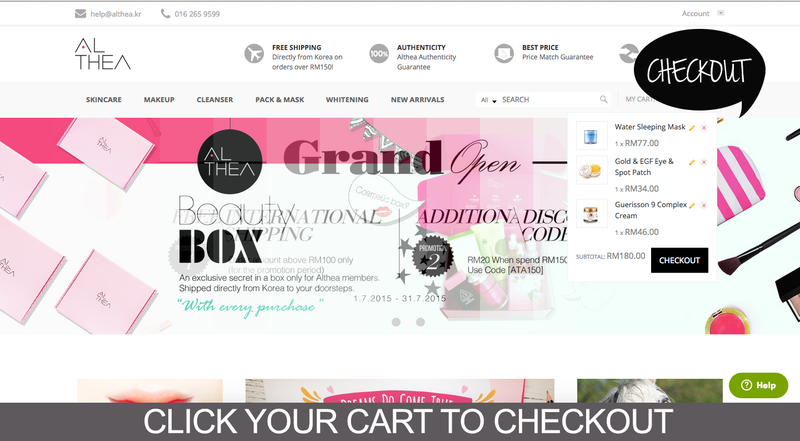 For shipping rates, currently Althea Korea is offering free international shipping upon purchases above RM100 in conjunction with their grand opening launch (July). After this, it will be RM150 in order to get free international shipping. Quite a standard free shipping perk by international shopping websites. If you don't want free shipping, just input your shipping address on the right side of your shopping cart to see shipping rates at your grand total calculation (on bottom right). For parcels below 500grms @ RM28 and above 500grms @ RM34 depending on weight and location. I pretty much think Althea has miscalculated this so please take advantage of their affordable shipping and courier charges for now. I would advise to just purchase enough for free shipping. You're not losing out on that extra $$ to replace shipping charges. 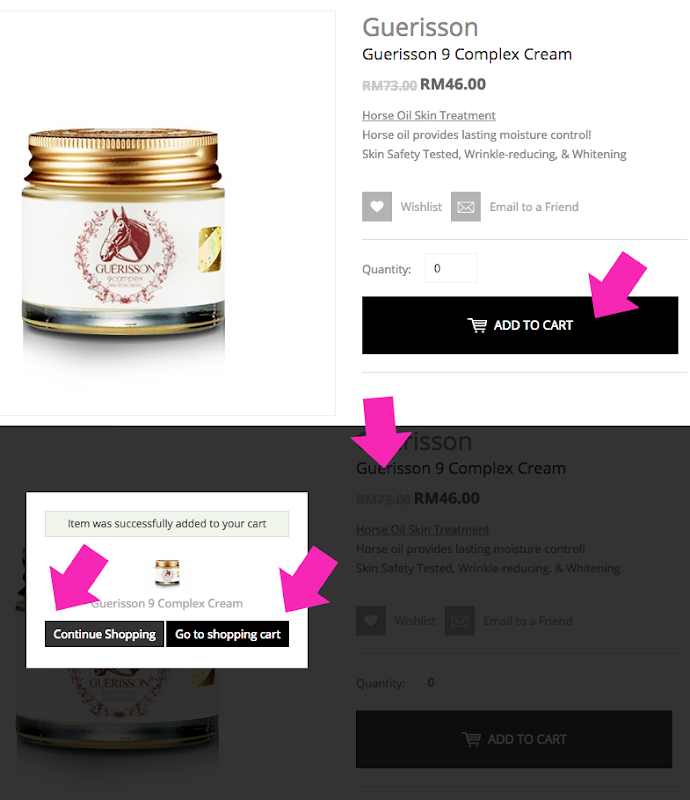 P.S: I know because I shop on Lush Singapore, Luxola, Etc and comparing Althea, hell it's OKAY!. Yes it's shipped directly from Korea to Malaysia (West & East) and then Ta-Q-Bin the local courier will take over and courier the parcels to customers. I've made two purchases and at both times, Ta-Q-Bin has called me to check if I am home (which I wasn't) and was kind enough to meet me nearby at a cafe where I leech on wifi to work. For East Malaysia, shipping and delivery will take longer than West Malaysia - a few more days. I also heard that for rural or more urban areas, it might take longer as well. For any reasons, a tracking number is provided in your account and you will also receive an e-mail from Althea on your order being confirmed and tracking number given. The tracking number is for the shipping, and can be converted to Ta-Q-Bin's tracking (local courier) by calling Ta-Q-Bin up and checking with them. You can also check with Althea's customer service team at help@althea.kr and they will assist you. I suggest you call Ta-Q-Bin up which is immediate rather than waiting for emails to be replied. After making payment, you will receive payment confirmation sms / e-mail from Althea Korea. Your order will be processed and you can check the status on your Althea account. Once the order has been processed and ship, you will receive an e-mail with tracking number by Althea which can also be seen on your Althea account. Delivery takes up to 10 - 15 working days (not including public holidays and weekends). Again e-mail help@althea.kr should you need to find out what's going on with your shipment (only like after 15 working days, don't go e-mailing everyday asking when is it arriving). 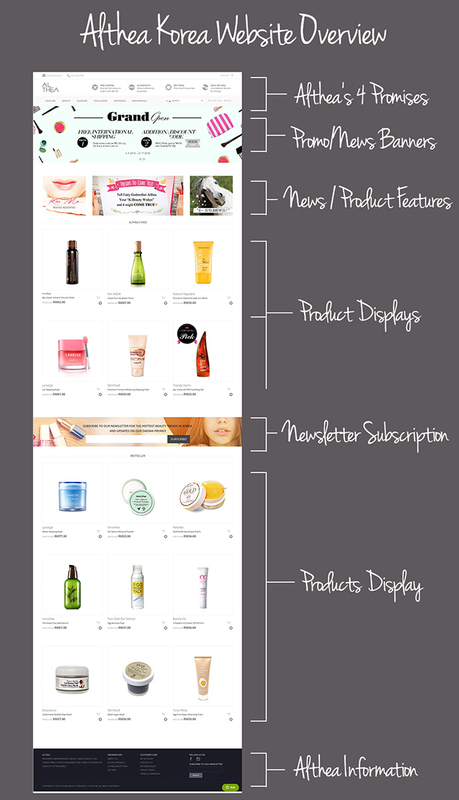 I hope my simple guide on how to shop helps :O just leave comments for me so I can update this page from time to time depending on what info I left out. 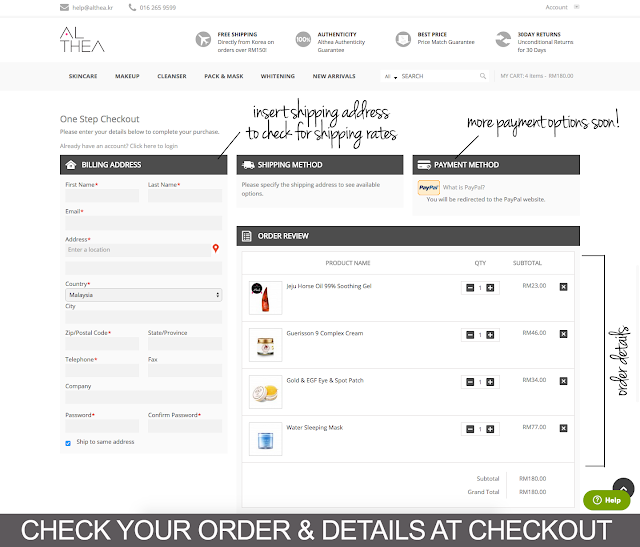 On how to track your shipment / order from Althea Korea, please click here. How do we do our payment? This is a great venue. I was here for a party and there was so much food and it was all done so well! The decor and food at LA venues were amazing. Personally, I think the space is laid out really well and the size of the venue keeps pulling great parties. Depending on all the points seeing how we can deal with the outcomes that are based on the compare international shipping rate is quite helpful for me because knowing the way it all helps the user is appreciable.